Can Mel play a hero anymore? 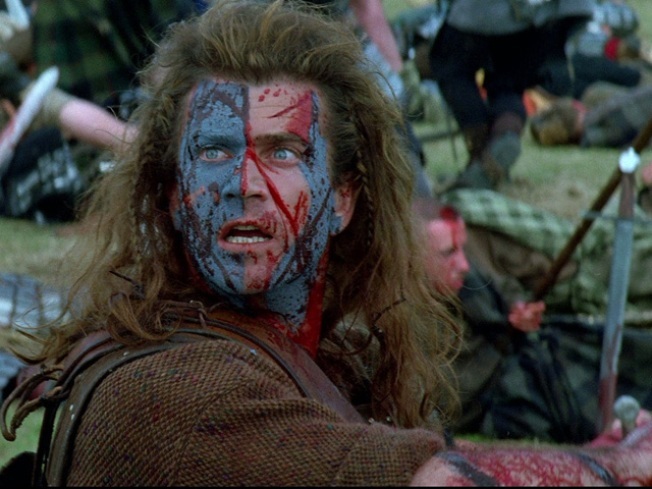 Mel Gibson is usually a movie hero. But his failure to address tapes leaked in July — in which he insulted most of the world's races — suggest it may be time to trade in a white hat for a black one. The last time Gibson "misspoke" (offensive remarks after a drunk driving arrest in 2006), he said he was "deeply ashamed" and checked into rehab. But the Oscar winner has not commented on audiotapes on which a voice that is apparently his calls his employees "wetbacks," refers to former flame Oksana Grigorieva by a word that is considered the worst thing you can call a woman and uses the N-word. Maybe he's been silent because he's feeding goats on an anger-management farm or distributing medical supplies to needy children. But even if that's the case, public relations professionals say his silence sends a message: "I don't care." "The obvious thing is to apologize immediately," said Daryl McCullough, CEO of Paine PR in Los Angeles. "It's human nature to know all humans will fail, but if you misspeak, you apologize. But when people are silent or dig in their heels, that's revealing of who they are." "He's offended so many people that he better start to (apologize)," said JoAnn Syverson, senior lecturer at Minnesota's Carlson School of Business Management. "He may be to the point where he can fund his own films, but does he want people to go see them?" Gibson is not the first actor to swallow his own foot, of course, but the lessons he can learn from other celebrity bigmouths are ambiguous. When Alec Baldwin was caught calling his preteen daughter names on a phone message in April 2007, there were calls for boycotts. But Baldwin didn't insult entire groups of people, and while his management probably didn't like to hear him refer to his daughter as a pig, Baldwin already was the star of ongoing TV show "30 Rock." Then three months after the tapes became public, he was nominated for an Emmy and public/industry forgiveness had begun. Michael Richards used the N-word in November 2006 and claimed it was part of his comedy act. It could be argued the "Seinfeld" star's career has never recovered — his highest-profile gig since then has been an appearance as himself on "Curb Your Enthusiasm." But it could also be said that "Seinfeld" was always destined to be pretty much it for him. Christian Bale is a star and like Gibson, a frequent contender for People magazine's Sexiest Man Alive. But unlike Gibson, Bale's caught-on-tape outburst on the set of "Terminator Salvation" was confined to the issue at hand. With no hateful comments hurled at women or minorities, Bale's rant hasn't affected his ability to book big-budget movies. In fact, with upcoming projects that involve Rachel McAdams and Mark Wahlberg, seemingly everyone in Hollywood wants to work with Bale. Meanwhile, Leonardo DiCaprio — who, before the Gibson tapes — enthused about working with him on a movie about vikings, has reportedly bailed on that project, citing scheduling difficulties. Jodie Foster, a friend of Gibson's, just directed him in a dramedy called "The Beaver" and reportedly wants the movie to be released soon, but that seems unlikely. And Gibson has written and starred in "How I Spent My Summer Vacation," which is also in limbo. "This is a huge setback for those movies," McCullough said. "He has to know some percentage of the public will 'boycott his brand,' no matter what." But is the public more willing to forgive than publicists? "The tapes won't make a difference in whether I go see him again," said Bibi Dadson, 48, of New Hope, Minn. "I think maybe he's going through a rough time now, but we all have times when we need a little help." Dadson listened to only one of the clips, but has read about what's said on the others. He thinks what Gibson said seems to fit with the anger and "confusion" in the actor's 2006 outburst. "It's too bad that the tapes came out because it seems like a private thing. I hope he's getting some help and he comes back and makes more movies." Mana Patel, on the other hand, doesn't like Gibson anymore. "He apologized before, I know. But I don't believe him in the movies or real life," said Patel, 27. Patel won't see Gibson in any role. Syverson thinks that a good-guy door is slamming shut for the actor, but a bad-guy window could be opening. "I don't know if he can ever be considered likable again," Syverson said. "But maybe that's not what he goes for. Maybe he's a bad guy who has unpopular opinions but is still talented. Maybe he just wants to be credible and forget about likable." Certainly, it's possible to build a Hollywood career without being cuddly. Frequent moviegoer James Coplin could see villainy working for Gibson. "I think the tapes take away from his legitimacy in some movies," said Coplin, 39, of Minneapolis. "So much of a star's persona is tied into a role. Maybe he can play villains, but it will be hard to believe him in a sympathetic role now." Villain or hero, though, Syverson and McCullough say Gibson must apologize, following the example of someone you'd think is nobody's role model: football player/animal abuser Michael Vick. "Vick got involved in animal cruelty societies. He showed remorse," Syverson said, noting that — given Gibson's control issues — he might prefer to do this via a personal blog rather than a chat-show mea culpa. There may even be a silver lining in Gibson's dark cloud of racial slurs, misogynistic threats and cruelty. If he can emerge from this controversy, he could become Hollywood's go-to maniac who James Bond stops from destroying the world or embittered, jealous dad who squelches his daughter's budding romance. After all, as he knows from both his own screenplays and his, uh, improvised phone conversations with ex-lovers, the bad guy usually has the juiciest lines. Chris Hewitt it the movie critic of the Pioneer Press in St. Paul, Minn.